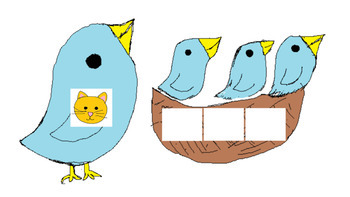 This word building activity matches the picture on the birds tummy, in this case a cat. students use letter tiles to form cat. After this the teacher guides students to build or find rhyming words with the 6 letters given. For cat the words are cat, sat, rat, and mat.